Machine Polishing – What’s It All About? Home - Machine Polishing – What’s It All About? Keeping a vehicle’s paintwork in perfect condition is a time consuming and tricky job. All too often it falls victim to swirls from poor washing techniques, scratches from hedges, etching from bird droppings and even marks caused by acid rain fallout. Removing these blemishes by hand can be incredibly labour intensive and some of these defects cannot be removed without mechanical intervention. 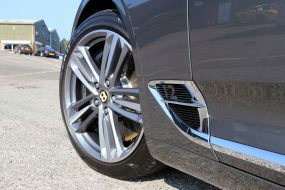 Machine polishing, once the purview of the professional detailer, has become increasingly popular with the car care enthusiast and advances in technology have made the process easier for the novice to achieve great results. In this article we take a look at the variety of defects likely to be encountered and the different types of machine polishers available in order to tackle them safely and effectively. The paintwork on your car is made up of different layers. First, the bare metal body panel is coated with a primer, typically a greyish white colour, to ensure the paint adheres more efficiently to the surface and increases the paint’s durability. The base coat (colour) is then layered over the top, the total thickness of which varies with manufacturer. Then, to protect the colour pigment, a clearcoat (lacquer) is applied on top. 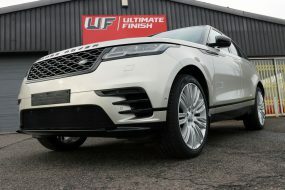 This provides an optically clear sealant that enhances both the colour and gloss and helps protect the base coat from being scratched or oxidised. Importantly, the clearcoat also contains UV protective elements designed to inhibit fading caused by the sun’s UV rays. The UV protective elements are lighter than the other sealing elements and tend to settle towards the upper layers as the clearcoat cures, an important point to remember when machine polishing. 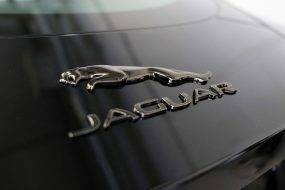 You can read more about clearcoats in our Car Care & Detailing Guide: 10.4: Clearcoats Explained. Clearcoat lacquers can vary greatly in hardness. Typically, German clearcoats are highly scratch resistant, developed over time to cope with their laws on waste water which prevent cars from being washed at home, as we would do here in the UK. On the other hand, paintwork on Italian marques can be much softer, but there are no guaranteed rules as to which cars will have a certain type of finish. Harder paints will require more effort to remove defects, softer paintwork typically may be trickier to refine. 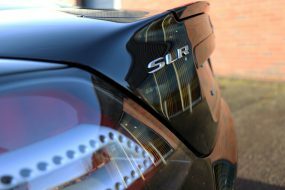 You can read more about paint finishes on different car marques in our Car Care & Detailing Guide: 10.5: How Hard Is My Paint? Paint defects have many causes and they all have the potential to affect different layers within the overall paint finish. 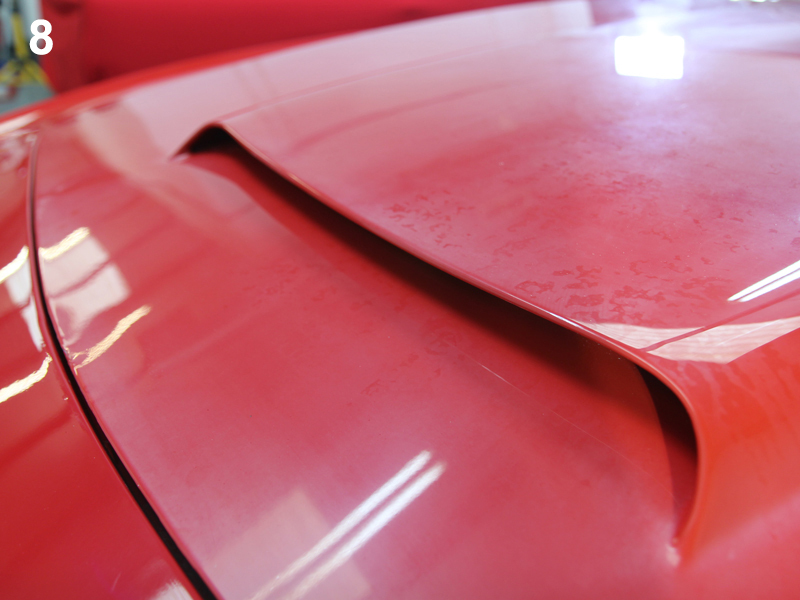 Here’s a look at the different types of commonly found paintwork blemishes. Water Spot Marks (1) – Resulting from the impurities in tap water. Holograms (2) – Also known as buffer trails are caused by poor machine polishing techniques. They appear as blurred circular shadows giving the finish a dull and greasy appearance. Swirls (3) – Also known as wash swirls as the majority of this type of defect occurs as a result of poor or careless washing and drying techniques. They are light ‘cobweb’ marks in the top of the clearcoat. Extreme cases are generally as a result of the harsh brushes used in many older mechanical car washes. Etching (4) – Visible as marks left on the surface of the clearcoat but may have eaten through to the base coat below. These typically occur as a result of acid rain or from bird droppings. Acid rain is caused by chemicals such as carbon dioxide and sulphur dioxide being dissolved into the water vapour in the atmosphere and released in rain. The acidic nature of the rain causes marks to be etched into the surface of the clearcoat. Bird droppings contain Uric Acid, a chemical that is corrosive enough to quickly eat through a coating of wax or paint sealant and begin to etch into the clearcoat. As the paint heats up in direct sunlight it expands, as the temperatures cool, the paint contracts. This expanding/contracting combined with the acid in the bird droppings conspire to leave cracks and etch marks in the clearcoat, and if left could potentially stain the base coat colour beneath. Light / Fine Scratches (5) – more linear than swirls, they leave a visible but fine trail on the surface of the clearcoat. Random Deep Scratches (6) – Sometimes referred to as RDS, these are typically inflicted by grit and dirt being dragged along the paint. 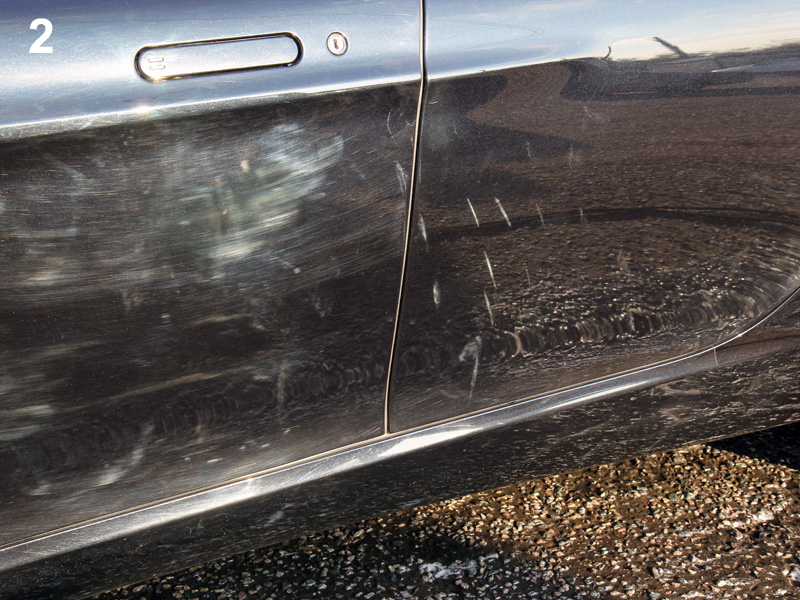 The severity of these scratches varies greatly, with some polish out easily. In the most extreme cases, some RDS will have gone through the clearcoat down to the primer or even to bare metal. Stone Chips (7) – While driving, small loose stones fly up from the road surface and impact the paintwork at speed gouging out spherical or sub-spherical divots that typically remove clearcoat, paint and occasionally primer too. 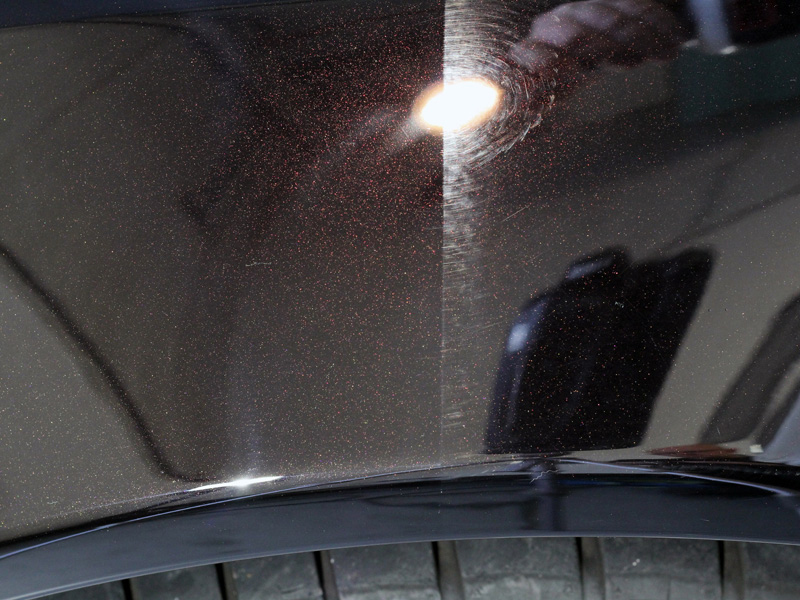 Depending on how deep the chip is, a rotary polisher may help to reduce the appearance, but the crater left behind usually requires treatment first with a paint chip repair system such as ChipEx. Oxidisation (8) – Occurs when oxygen molecules in the air act to remove electrons from the paint’s pigmentation causing the colour to become milky or cloudy. Blacks fade to grey, reds fade to pink. White paint also oxidises over time, but because it’s the same colour as the chalky white oxidisation, you will have to look carefully to see it. All of these types of defects can either be eliminated or have their appearance significantly reduced with the action of a machine polisher. There are two popular types of machine polisher available: Rotary or Dual Action (DA). Largely favoured by professional detailers for their ability to correct paint defects quickly. 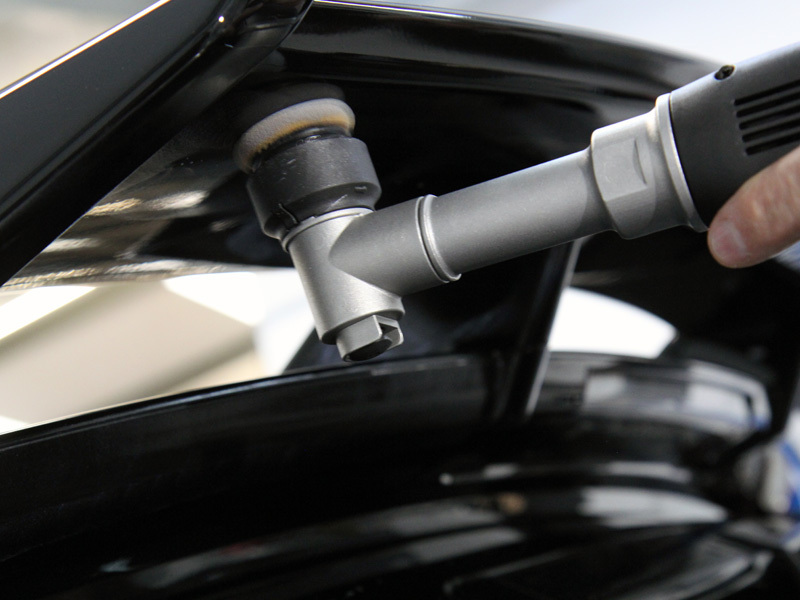 The polisher head connects directly to the drive mechanism, causing the head to spin in a circular motion. This generates heat effectively, allowing for a more aggressive cutting action, however, in untrained hands there is a significant risk of ‘burning’ through the paintwork, exposing the primer below. For severe defects or scratch-resistant clearcoats, rotary polishers are able to eliminate defects faster and more effectively than a standard Dual Action polisher. Examples of rotary polishers include Dodo Juice’s Spin Doctor, the 3M Rotary Polisher and the FLEX PE14-2. 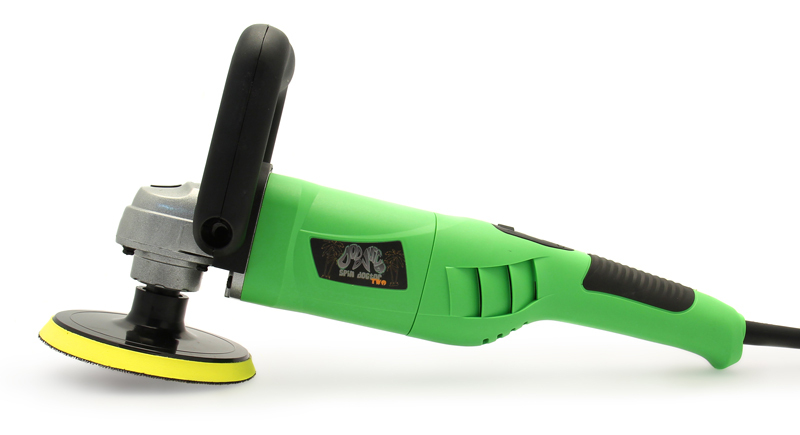 In trained hands, rotary polishers will effectively remove almost any type of paint defect. Also known as DAs or random orbital polishers, these machines were originally designed for use by the amateur car care enthusiast due to their operating mechanism which makes them inherently safer to use. The head of a Dual Action Machine Polisher spins in a concentric circular action on a spindle which in turn rotates in a wider circulating motion. The resulting oscillation creates a “wobble” which prevents excess heat build-up on the surface, minimising the risk of burning through the paintwork. 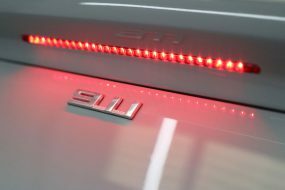 Typically the lack of heat generation has meant they have been useful for removing only lighter paint defects, however, advances in technology has changed that. As a result, these next generation Dual Action polishers have become very popular with professional detailers as they are easier to control, produce less vibration yet still provide excellent results. Given the right combination of pad and compound plus enough time, most modern DAs are capable of removing all but the toughest of defects. 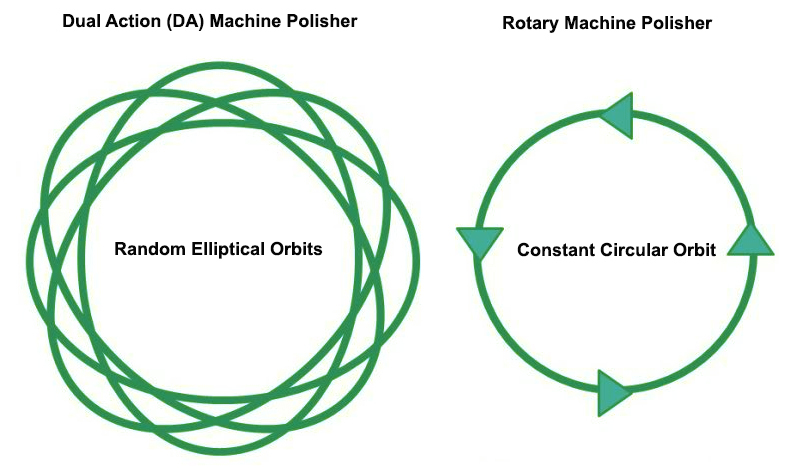 One of the key differences with a Dual Action polisher is the size of a complete orbit, commonly called the ‘throw’. The bigger the orbit, the greater the surface area being polished, enabling the work to be completed more quickly and also is less likely to cause unwanted holograms than a rotary polisher. A factor to consider is the size of the throw, as this affects the level of vibration fed back through the machine to the operator – the larger the throw, the greater the vibration. Conversely, smaller orbit DAs have a reduced vibration and are better at tackling contoured areas. Many DAs, such as the Deltalyo Kestrel DAS-6 and the Meguiar’s MT320, have a standard 8mm throw. 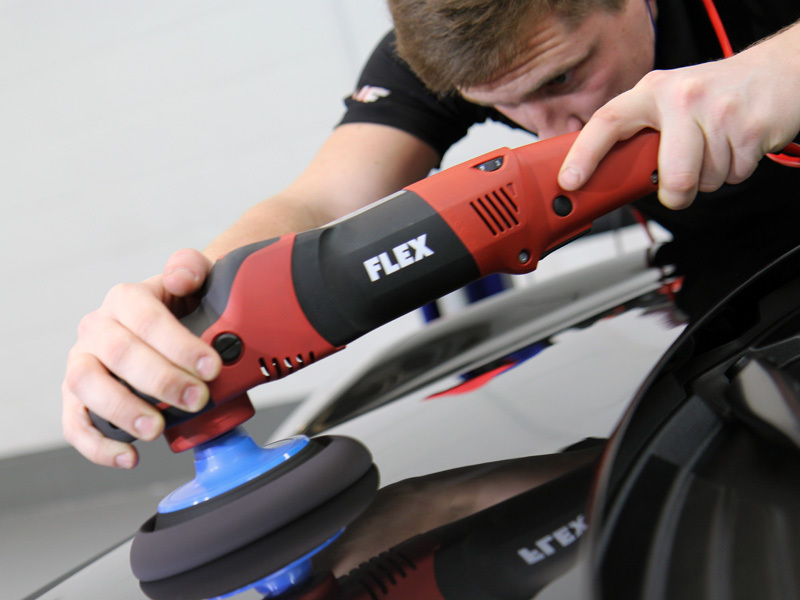 However, Italian manufacturer RUPES has developed a ‘BigFoot’ range of machines with much larger throws – the RUPES LHR 15ES has a 15mm throw and is favoured by many professional detailers. The LHR 21ES with its 21mm throw is ideally suited to body shop work where large panels need to be polished quickly. The LHR 12E Duetto has a 12mm throw and is firmly aimed at the enthusiast. The LHR 75E Mini has a smaller head for use with contoured or hard to reach areas. The FLEX XC3401 VRG is a professional grade Dual Action polisher that features a positive drive gearing system which actually forces the rotation of the spindle, giving a more intense cutting action than other Dual Action polishers. The RUPES BigFoot Nano iBrid is a hybrid machine in two ways: firstly, it can be switched between mains power and a unique cordless operation which is powered by lithium-ion rechargeable batteries. Additionally, the mechanism can be switched to make it perform either as a rotary or as a dual action polisher. In addition to the rotary head, two interchangeable DA heads provide either an 8mm or 12mm orbit. As a result, it’s a very flexible machine, a great tool for polishing a range of surfaces including wheel nuts, light covers, emblems, etc. 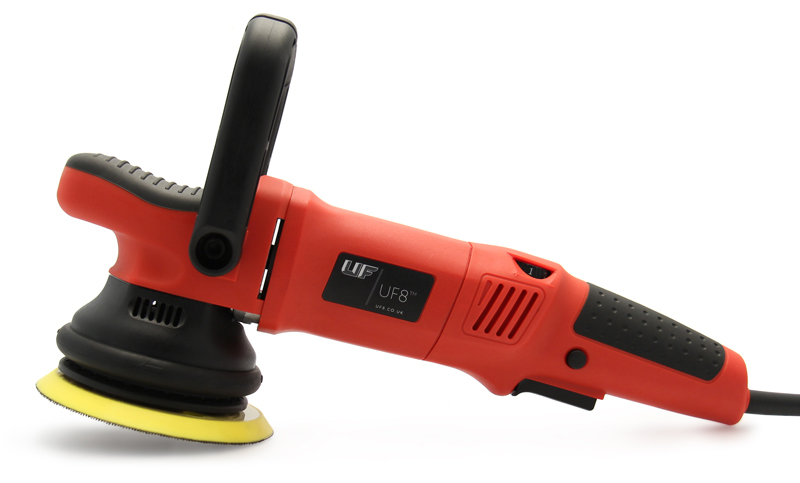 Designed with the enthusiast in mind and featuring a new, innovative mechanism with an 8mm throw, the UF8 Dual Action Machine Polisher generates significantly less vibration than a standard DA polisher. At the same time, the UF8 provides an advanced cutting and polishing action, a powerful motor and a Digital Torque Management System, typically only found on professional-grade machines. The result is a DA capable of providing professional quality results, but at a fraction of the price associated with professional machines. When considering starting machine polishing, selecting a machine polisher will come down to a combination of many factors and it can be difficult to know where to start, particularly when adding in the vast range of polishing pads and compounds on the market. To make the process easier, UF has pre-bundled a selection of popular machine polishers with suitable, easy-to-use pads and compounds into handy machine polishing kits. For those enthusiasts who already have a polishing machine, a range of polishing kits containing tried and tested pad and compound combinations are also available.